A spectacular and beautifully constructed masterpiece by the R&R architects in Kochi, The Haven. This residential home project is a result of absolute luxury and modern architectural design. The most striking advantage of this luxurious home is the construction marvel itself. It is visually appealing in both exterior and the interiors, more specifically the interiors are really a visual spectacle. Located at a serene suburban area, the two storey luxury living space has been constructed by R&R architects in Kochi with the recommended tools and as per the industrial norms. A striking future modernistic design with pale green appealing colour contrast. The outer boundary wall evenly blends with the home with white pattern. It consists of an open space car porch with a ceiling reinforced with steel frames. A lavish masterpiece constructed differently from traditional architectural styles by the R&R architects in Kochi. This luxurious two storey residential construction gives more emphasis on modern architecture and modularity. On the exterior, the structure is built using reinforced cement concrete in the ratio 1:2:4. Filter M sand and OPC grade 53 cement is used for the construction. R&R architects in Kochi has an innate flair for color, spatial arrangements, architecture and texture. 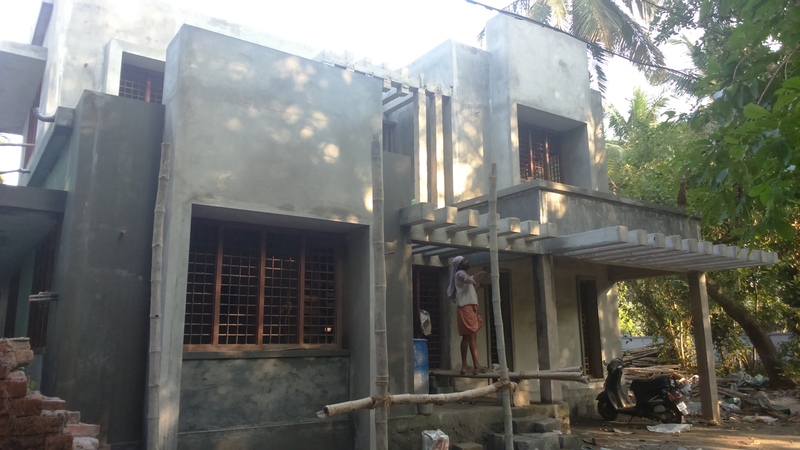 Our expert architects in Thrissur have a deep knowledge on the complexity of design, the structural integrity of buildings, building codes, ergonomics, spatial concepts, ethics, psychology, computer-aided drawing (CAD) and much more. Front door and all Windows and doors frame and shutters are all made of Teak wood. We only use the best quality teakwood for our work. For all the indoor doors, we use ready-made Taiwan doors. PVC moulded doors are used for bathrooms. We use SS handrails for the staircase to provide the supporting rail. Best door locks and chosen considering the interest of the client and the interior decor. The newly plastered surface is whitewash to give a smooth finish. Every wall, both inside and outside wall are given two coat of putty. Emulsion for exterior wall and interior wall. All wood surface is given proper pest treatment to protect it from pest. Melamine polishing for front door. Enamel paint for all wood and metal surfaces. Joint free and stain free Vitrified glazed tiles of size 80x80cm in sit out and all other rooms. The tiles are selected as per request of clients. Ceramic tiles of size 30x30cm for bathroom floors anti skid. 30×20 glazed tiles for bathroom walls upto to210cm height. Even Porches are tiled. Modular kitchen cabinets & Work area cabinets.Black Granite top kitchen counter. Stainless steel sink and glazed tiles 2 feet above the working platform. Provision for water purifier, mixer grinder and oven in kitchen. Exhaust fan is fitted in kitchen to remove the smell. 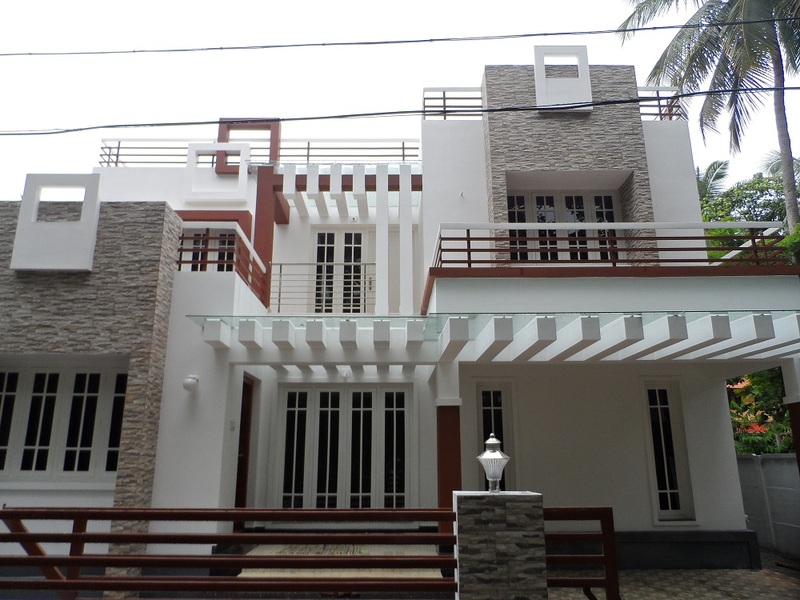 We are top architects in Kochi providing one-stop solution to your entire construction needs. Being one of the best architecture firms in Kochi, we offer customized architectural design services and building construction services to fit your needs. 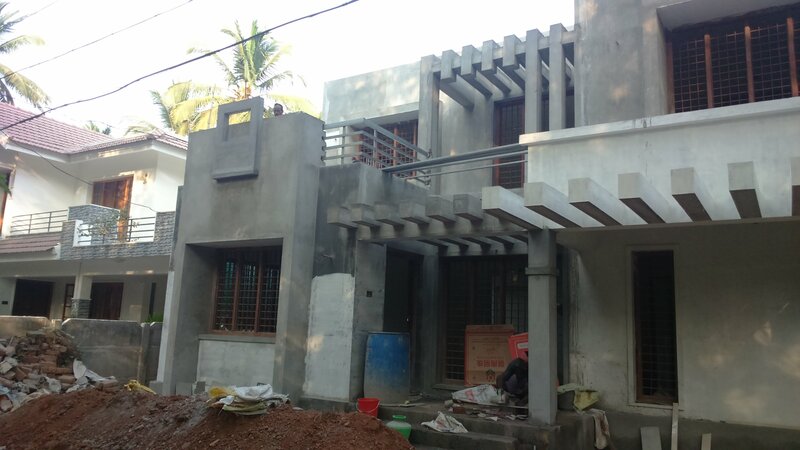 Founded by Rathish, R&R architects in Kochi integrate architectural design, complete project management and execution from inception to completion … We ensure 100% customer delight and we have happy clients all over Kerala. As a leading architecture firm in Kochi, our expert architects in Kochi always go a mile ahead to accomplish the aspirations of the customers. From planning stage till the final stage of the construction project, we make sure our architects in Kochi are involved in every stage, providing technical know-how and expertise for transforming our vision into reality. Every home has a story, and we ensure every project conveys it. 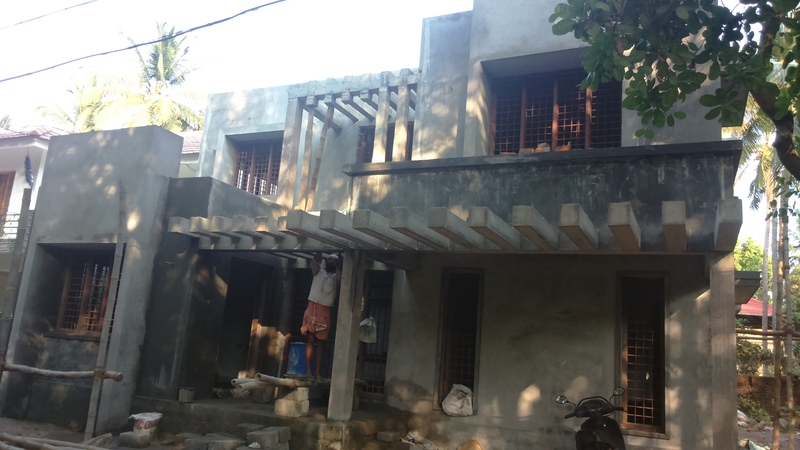 Being one of the best Residential Architects in Kochi, we aim to construct contemporary, traditional and sustainable homes, with complete design, engineering, and construction services. 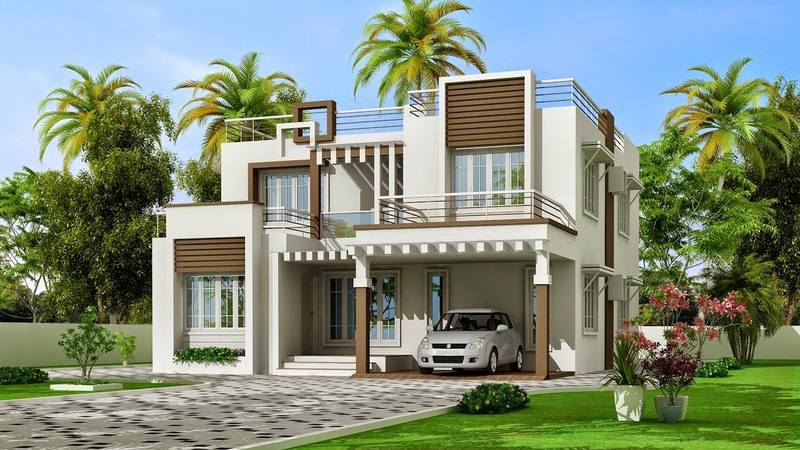 Our residential architects in Kochi work with our customers to accomplish high quality, modern designs by developing concept narratives to meet the architecture. R&R residential architects in Kochi are bespoke to the welfare of all stakeholders in the project: owners, contractors, operators and local communities. R&R Commercial Architectural Firm in Kochi has a team of highly experienced and skilled commercial architects in Kochi who has expertise in a range of projects in Kochi. If you are looking to start a new commercial project in Kochi, then contact our expert commercial architects in Kochi. We’ve worked with a diverse clientele in Kerala and our expert architects in Kochi are fully dedicated with the passion for excellence & customised service, sound expertise in design, planning the construction, and always give an eye for every minute detail of the project. 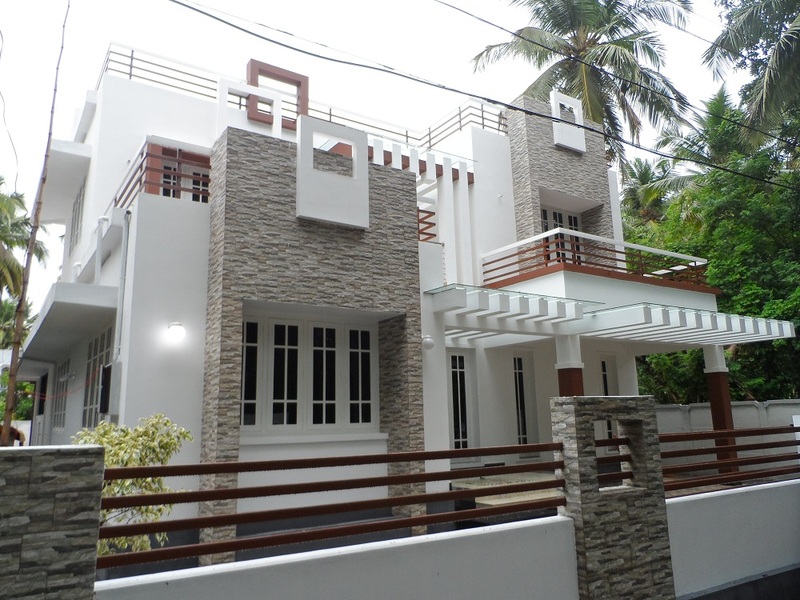 Our architects in Kochi is dedicated to meet our clients’ expectations and give attention to minute detail.